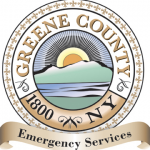 Greene County has addressed the entire county to city-style 9-1-1 addressing from the old RR1, RD1, etc. format. The US Postal Service, in partnership with Greene County, worked closely to make the transition as smooth as possible in the late 90’s.Greene County also adopted the National Emergency Number Association (NENA) standards for addressing and numbering. This numbering system is based on this city-style format. This conversion will allow emergency services to better serve the community. So you understand how we come up with your address, here is a brief explanation. Starting at the beginning of every road in Greene County, a number is assigned to every twenty six feet of road frontage. Your address will be determined by the placement of your driveway, not where your house sits on the property or the direction your house faces. Please post your 9-1-1 address clearly and visibly and remove old 9-1-1 signage on your property.